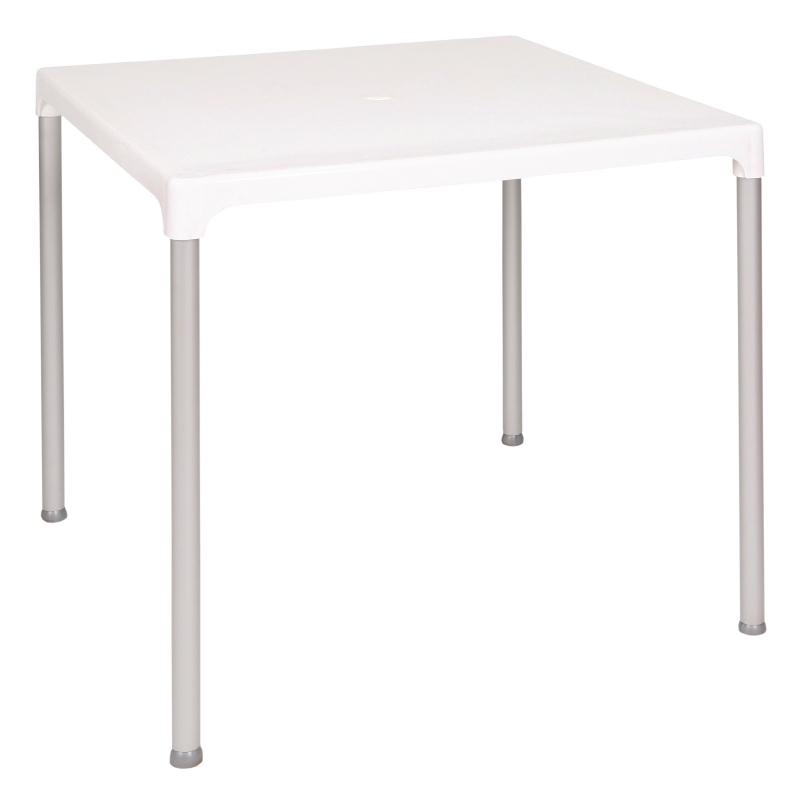 A simple and practical polypropylene table with aluminium legs and a white top, suitable for use in restaurants and cafés. 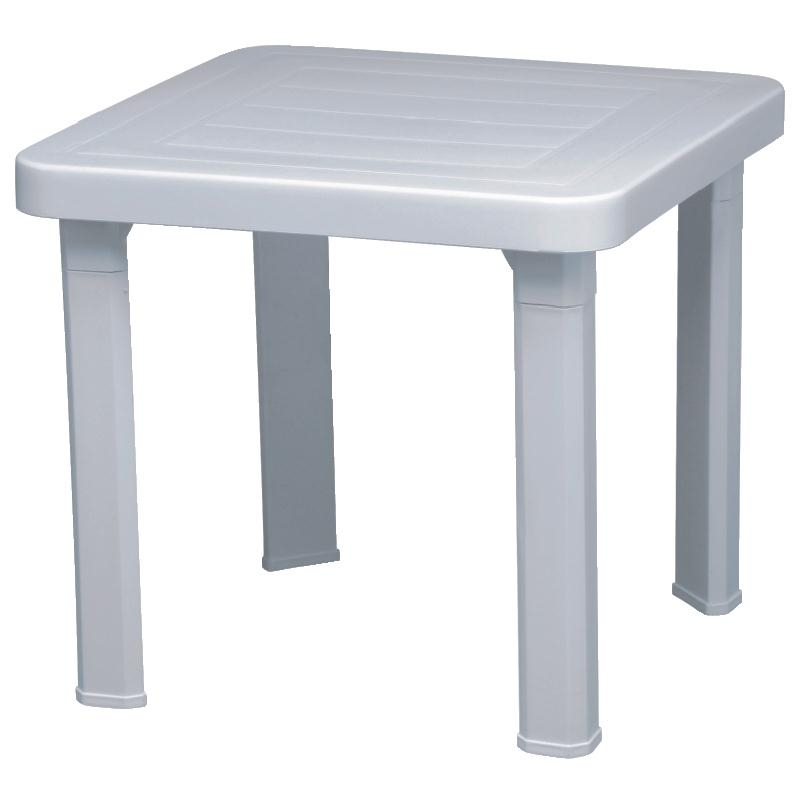 This Bolero white square table has a hole for a parasol making it ideal for pavement cafes. 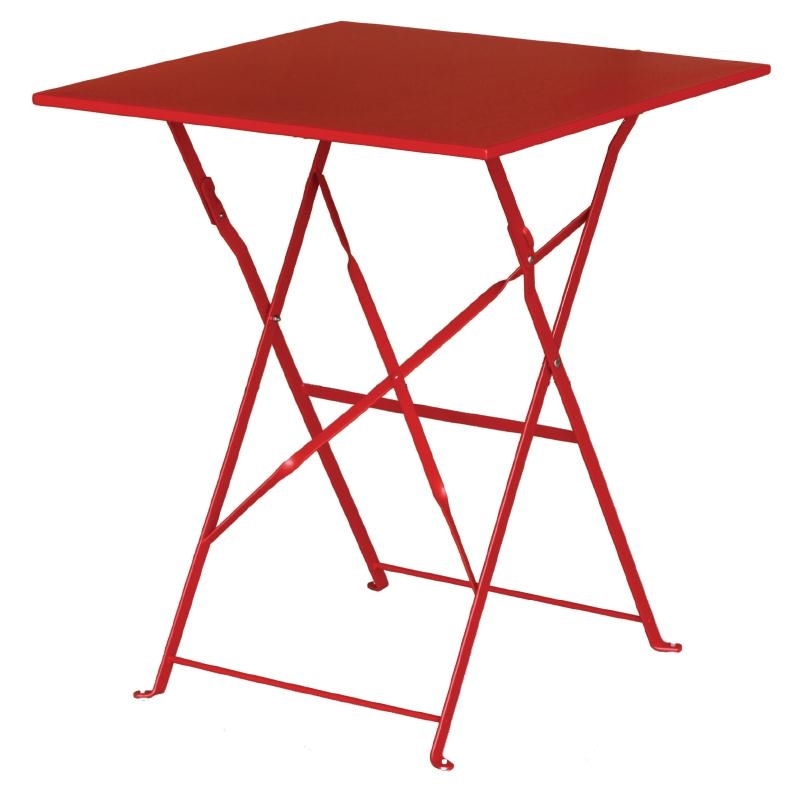 A practical solution for cafes, canteens, visitor centres and even pubs. 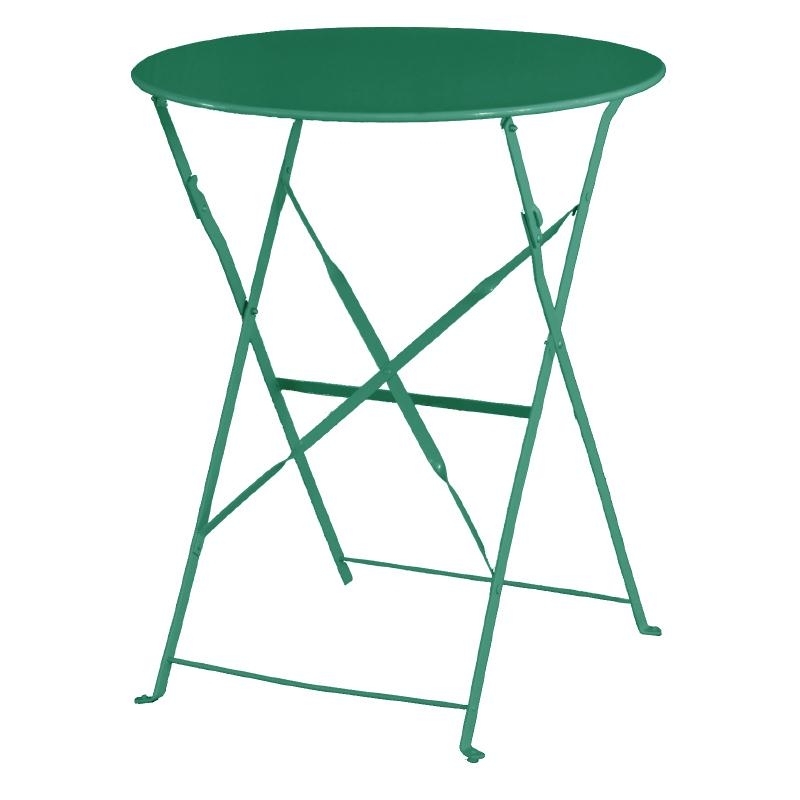 A great way to add some new life into your patio area or beer garden. Why not add some chairs in a complementary colour? Or go mad and add a contrasting colour chair to add a modern touch.